slider Archives | The Decorative Touch Ltd. 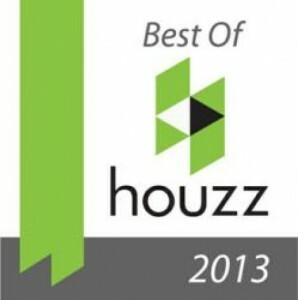 Decorative Touch Ltd. of Lenexa, KS has been awarded “Best Of Houzz” 2013 by Houzz, a notable online platform for residential remodeling and design. The 28-year old interior design firm was chosen by the more than 11 million monthly users that comprise Houzz’ readership. The Houzz “Best Of Houzz” award for 2013 is given in two categories: Customer Satisfaction and Design. Design award winners’ work was the most popular among the community of users, also known as “Houzzers,” who saved more than 124 million professional images of home interiors and exteriors to their personal ideabooks via Houzz platforms. The honor enables Decorative Touch Ltd to place the trademarked Houzz seal on its website and blog. 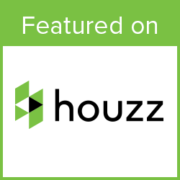 Houzz features the largest residential design database in the world, articles by design leaders, a community connected by social media tools, and information on more than 1.5 million remodeling and design professionals around the world. Who wouldn’t want to walk in their home and feel as if they have stepped into an elegant and inviting atmosphere that is full of life? When it comes to comfortable home interior design, an easy, breezy, and elegant home should look effortless, even though it may have been a tough project. In the great room, the look is glamourous, yet comfortable. Not to mention hard-wearing, the room had to be designed to withstand 3 college age young men (couple’s sons), pets, and occasional football watching parties with energetic young adults! So the home had to be designed to wear with beauty. The dining room exudes easy elegance with grace and charm. 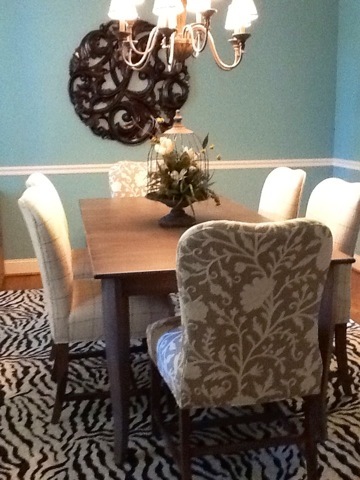 The polished French walnut dining table features a lovely scalloped apron. Sophisticated, yet understated, this classic dining outfit is glamourous without being over the top for a busy home. Open or closed? The kitchen can be closed off to the dining room if you don’t want guests to see you cooking, preparing, and etc. The beautiful pocket doors are embellished by antiqued mirrors to keep the elegance of the space consistent whether opened or closed. To view the rest of this lovely home, visit www.traditionalhome.com. Are you trying to figure out how to make your Kansas City home look easy, breezy, and elegant? Contact The Decorative Touch for professional interior design guidance that will create the home of your dreams! I’m excited to show you a few before and after photos of a home remodel project for a Kansas City couple who relocated to Chattanooga, Tennessee. I was excited for the opportunity to fly into Chattanooga and take measurements for the furniture and accessory layout, as well as sit down and talk with the clients about what they want for their new home. Since their long term goal is to move back to Kansas City, they wanted the home’s interior design to be movable, meaning no drastic changes. Everything I designed will one day eventually go back to Kansas City with them, and it was important to the clients that the original charming home structure be left untouched. 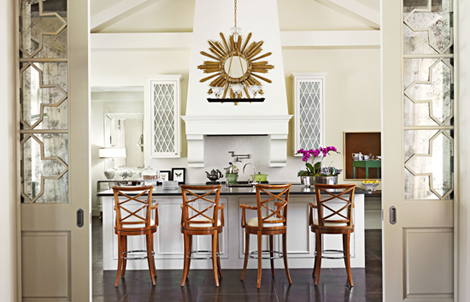 I began with suggesting changing out the hardware and light fixtures from brass to oiled rub bronze throughout the home. Then we chose a new accent paint, and furniture pieces that would transform the look of the space and cause a potential future buyer to fall in love with the home. Once the truck was scheduled to arrive with all of the furniture, I drove back down to Chattanooga, with a few treasures, to help with unloading the truck and placement of all the furniture, window treatments, decor and accessories. Thanks to the help of the homeowners and a couple of great handymen, the delay in the truck schedule did not stop us from transforming the home in a matter of 12 hours! Take a look and see how much of a difference the right furniture, area rugs, decorative fabrics and decor pieces can transform a home! You may remember the days where dinner was promptly at 7 p.m. and everyone was at the dinner table at that time. Well that almost seems like a luxury today. However, many homeowners are wanting to bring the family back together in one room with a great room home remodel. The typical great room usually brings together the family room, kitchen, dining room, and/or a sitting room. The beauty of the great room is now the whole family can enjoy being together while doing different tasks. But some people seem to get a bit overwhelmed when it comes to decorating such a grand space. Simply remember: together, but separate. When decorating the space you want the interiors and furnishings to flow together, however, you want to make sure to create distinctions that separate the space. Area rugs work well for defining a space. There are a variety of ways you can arrange furniture on or around the rug to create conversation nooks that allow you to comfortably chat with family and friends. Mixing the flooring is another great way to separate these areas without disturbing the design flow. Are you having trouble keeping the flow of your great room consistent? The Decorative Touch is here to help! If you live in the greater Kansas City area, give us a call at 913-888-1388. Just a touch of color can change the vibe of a room or even an entire home. Yellow is a great hue that denotes sunshine, warmth, happiness and joy – characteristics everyone wants to include in their home design. 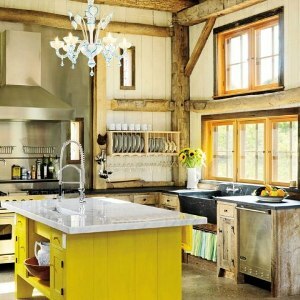 The Decorative Touch thought we’d embrace the sizzling temps this summer with some fun yellow décor. From a vibrant, sunny front door to a bright airy home office, enjoy these unique ideas that work in almost any space. Share some of your summertime ideas with us on our Facebook page or simply post a comment below. The Decorative Touch wants to make sure that outliving living for you and your family is just as comfortable as the indoors. And with the ideas we’ve included in this blog, you may never want to go back inside. 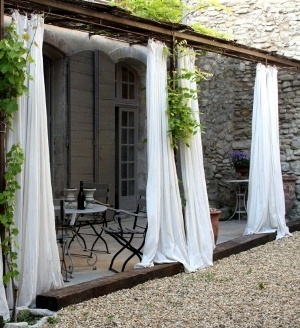 As we look all about the Web, we find and bring you some pictures of courtyards that add so much elegance, definition, style and class to the upscale homes. They represent what The Decorative Touch is all about. Below you’ll see a whole new way to sit court side. As an interior designer, I like to maximize the juxtaposition of modern decor with antique accents in homes. The look is a personal fave of mine because of how dynamic the contrast is. 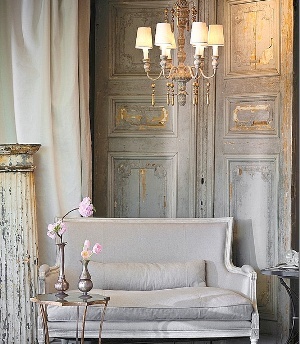 One way to achieve this real-world oxymorom is to infuse antique doors into a transitional-styled home. Of course it takes a design expert to successfully accomplish this delicate balance. Antique doors accent a traditional or modern-minimal looking home very nicely, adding warmth, texture, unique architecture and charm to a home. In honor of the beauty of old doors, I’ve decided to share this photo from the magazine Atlanta Homes & Lifestyles with you for inspiration. As as lover of vintage, I exhort you to use antique doors to transform spaces when you want to add architectural flavor to your room.